Lung Imaging Reporting and Data System (Lung-RADS), developed by the American College of Radiology to standardise nodule management, is the most commonly used reporting system for a screening chest CT scan. However, an article in the journal CHEST says the system has its "shortcomings" and should be revised to include a separate category for findings that are highly suspicious for malignancy but do not have an accompanying lung nodule. The National Lung Screening Trial (NLST) demonstrated that CT lung screening reduces lung-cancer-specific mortality in high-risk patients. Based on the results of the NLST, the U.S. Preventive Services Task Force recommended (grade B) lung cancer screening with low-dose CT (LDCT) for high-risk current and former smokers. However, the downside of the NLST is a very high false-positive rate of about 25%. "This means that one-quarter of the patients, nearly all of whom did not have cancer, would have to undergo additional imaging or biopsy in selected cases to confirm the finding," write the authors, Hiren J. Mehta, MD and Michael A. Jantz, MD (both from the Division of Pulmonary, Critical Care, and Sleep Medicine) and Tan-Lucien Mohammed, MD (Department of Radiology), University of Florida College of Medicine, Gainesville, FL. The ACR developed Lung-RADS to reduce the high false-positive rate and in part to standardise reporting for lung cancer screening as it comes into population-wide use. Compared with the NLST criteria, Lung-RADS increased the size threshold for a positive baseline screening result from a 4-mm greatest transverse diameter to a 6-mm transverse bidimensional average and 20 mm for nonsolid nodules) and required growth of pre-existing nodules for them to be reported as positive. The authors cite several limitations of using Lung-RADS over the NLST protocol. Lung-RADS has never been prospectively studied in the real-world setting. They note, "It is unknown how the decrease in the sensitivity of Lung-RADS, compared with the NLST protocol, would affect the mortality benefit of LDCT screening." Moreover, the effect of delaying diagnosis in cases of cancer missed by Lung-RADS is unknown. In addition, Lung-RADS does not have a specific reporting category for patients with isolated hilar and mediastinal adenopathy or pleural effusion in the absence of lung nodules. "We report four such cases from our lung cancer screening programme," the authors point out. "We believe that this is a significant limitation of Lung-RADS and should be revised in its new version." In an accompanying editorial, James G. Ravenel, MD (Department of Radiology and Radiologic Sciences), Nichole T. Tanner, MD, FCCP and Gerard A. Silvestri, MD, FCCP (both from the Thoracic Oncology Research Group), Medical University of South Carolina in Charleston, applaud Mehta et al. for pointing out a potential pitfall in the reporting process under Lung-RADS. "Although nodules are the most common finding in early lung cancers, they are by no means the only manifestation. In addition, screening may detect other findings that might be of significance to the screened individual. In the NLST, clinically important findings not related to nodules were seen in up to 7.5% of individuals and included enlarged lymph nodes (1.0% of subjects; positive predictive value, 18.5%) and pleural effusions (1.7% of subjects; predictive value, 3.5%)," according to the editorial. 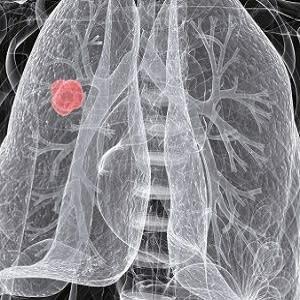 In lung cancer screening, the authors say, there is the potential to cause harm to patients who have a screen-detected cancer missed, a benign or malignant nodule mismanaged, and findings other than nodules not reported or acted on. lung nodule, Lung-RADS, malignancy, lung cancers An article in the journal CHEST says the system has its "shortcomings" and should be revised to include a separate category for findings that are highly suspicious for malignancy but do not have an accompanying lung nodule.